Investors are constantly looking for new promising methods and fields for investment. It is not surprising, considering that existing ways to invest have serious limitations and downsides: high barrier of entry and risks, strict regulations and so on. In this article, let us figure out if there is an alternative to them and what it can offer us. Today, there are a lot of various ways to invest. But in reality, not all of them are accessible, and some are even dangerous, especially for beginner investors. For example, investing in stock market has turned into speculation a long time ago. Hardly anyone invests to save or multiply capital anymore. The majority of participants simply buy and sell in short windows of time and in big volumes, which leads to high volatility and risks. And when you add the high barrier of entry and commissions for every deal to that, not everybody can afford to participate in stock market trading. And it affects not only investors, but also those who want to attract funds. That is why they turn their attention to crowdfunding platforms, but here they will face a number of downsides. Normally, such platforms allow investing only into a narrow field, and projects they offer aren’t examined by anyone and are interested only in attracting a limited amount of investments from residents of certain countries. As a result, investing isn’t available to everyone and has even higher risks than stock exchange trading. There are many cases when developers raised money using crowdfunding platforms and then simply disappeared. The same can be said about the newest investment method — ICO (Initial Coin Offering), where investors can become shareholders of the company through purchasing some of its crypto currency, after which the said company would successfully vanish. In the meanwhile, the number of the disappeared companies already amounts to hundreds and in order to somehow counteract this, the DAO (decentralized autonomous organizations) mechanism was created, but it also does not guarantee investors and new projects any protection. It is because this mechanism uses an ineffective management model, where decisions are made by an unorganized group of individuals, any kind of reporting and revision standards are absent, which makes smart contracts extremely vulnerable. As a result, a lot of people become disappointed in investing and “quit”. But now there is a solution to all of these problems, which will allow anyone to become an investor with minimal risks, contribute to the development of the future and be confident in the safety of his/her investments. The Bitbon System is a decentralized blockchain-based Contributing platform (digital equivalent for crowdfunding with much broader possibilities). Currently, it uses the Ethereum open source code with a few functional additions, but in the future the infrastructure will be transferred to the public Blockchain of Simcord Company, where users will be able not only to buy, but also to obtain (mine) Bitbons. “Bit” is a measurement unit of the amount of information in the binary system. “Bon” is a derivative instrument that gives its owner the right to receive certain assets from a certain person or a company. But the origins of the System’s name are not as important as the value and the opportunities it provides for its users. As well as inheriting and so on. Where Is It Used and What Are the Advantages of the Bitbon System? The System is able to integrate itself into business activity as well as legal and financial fields, which leads to its biggest advantage — connection to the real sector of economy. In the Bitbon System you can control assets and rights to the acquired assets of any kind: machinery and production equipment, real estate, securities and bank deposits, shares in various companies, trademarks and even copyright. The offered services allow you not only to control and keep accounts on assets, but also to safely transfer property rights to assets in digital form, as well as to conduct safe deals and attract funds to socially relevant and commercial projects. Investors don’t need to worry about their money because the System envisions the Bitbon Capitalization Fund, which states that project financing must be done in stages. It means that money is allocated in parts, each part transferred only after the previous project implementation stage has been verified. 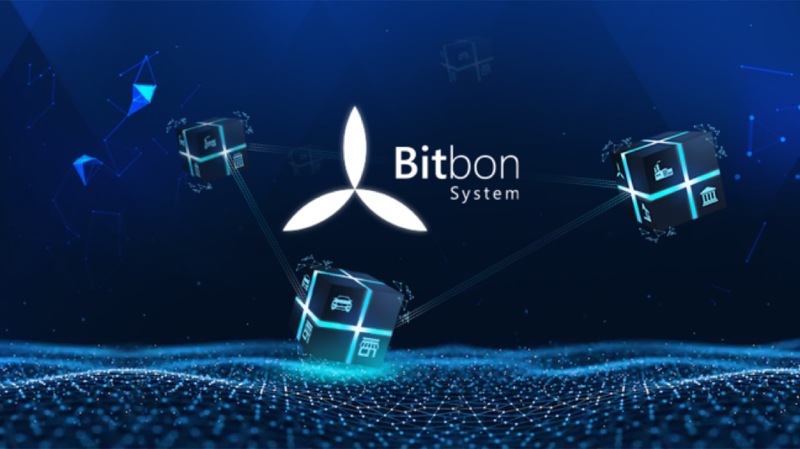 As a result, the Bitbon System completely excludes all risks relating to the violation of terms of the public contract of a specific project. Moreover, thanks to the use of a free access Blockchain platform, the System is maximally transparent to its participants. Anybody can take a look and make sure that the transaction has been successful and it will not display any personal data providing participants with sufficient confidentiality. These are just a few of the Bitbon System functions. It has the potential to develop transnationally and enter all areas of social life. So if you are still looking for a reliable and promising place to invest in, it’s time for you to invest in Bitbon.